All dogs need to learn to interact as young puppies in order to be socially well adjusted for life. Our puppy parties are run by Sue Wilde, who has been a part of our practice for many years and now has gone onto developing her own business; Canine Solutions. Sue has many years of experience in dog training and is very much enjoying this new life adventure! 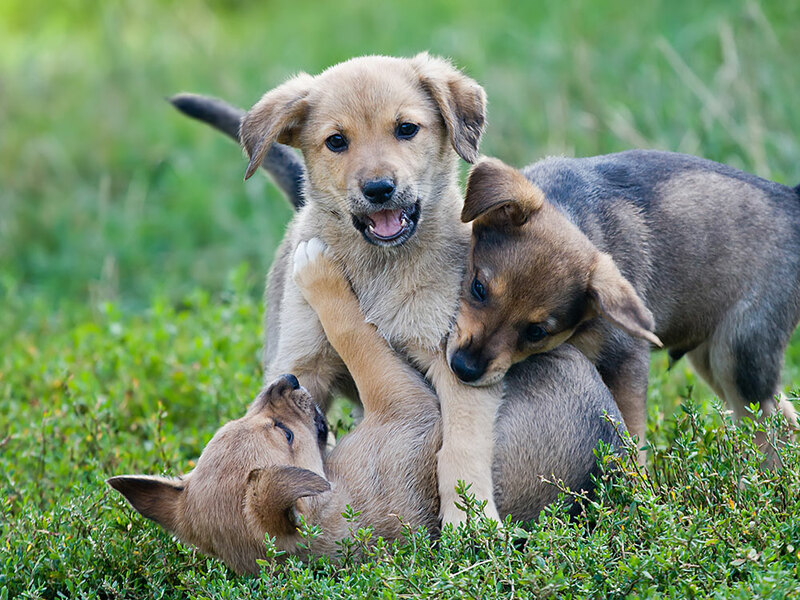 We provide a safe, friendly and fun environment in which the puppies are encouraged to play with others of all breeds, and staff are on hand to answer any questions you may have. Puppies are welcome after their first vaccination. In our experience the puppies find any future trip to the Vets an exciting and non-threatening event. The Puppy Parties are held on Monday evenings, for 45 mins – 1 hour. This will depend on numbers, as large groups or bigger breeds will be split into two classes. Sue will organise the classes. Please call Sue on 07779 331589 to book your space. Book your space with Sue 07779 331589 to know your time.